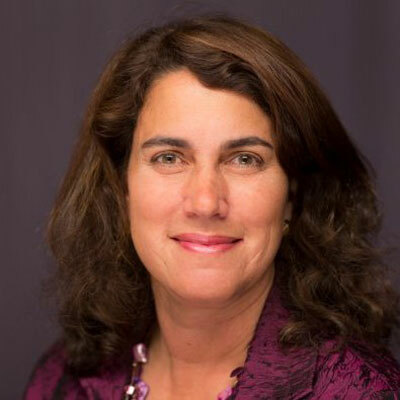 Julie Lubetkin is Vice President of Marketing, Channels and Partnerships with Avalara, where she drives strategy and programs to accelerate growth with technology providers, resellers and accounting professionals. Prior to Avalara, Julie spent three years as a Vice President at Bill.com where she was responsible for marketing and partnership growth. Julie has also held leadership roles at Intuit, PayCycle and Sun Microsystems. Julie earned an MBA from the Graduate School of Business at Stanford University, an MA from the Graduate School of Education at Stanford University and a BA from the Woodrow Wilson School at Princeton University. One of the most important areas to "get right" in today's business marketplace is conversion rate, but finding cost-effective ways to do this in an efficient, short amount of time can be difficult. I have helped lead a program for prospect scoring, which we are sharing with our partners. When one of our channel partners has a prospect or a list of potential prospects, they can figure out each prospect's likelihood to need Avalara and our services. This program offers partners an opportunity to save time by allowing them to focus on targets that have a greater need for Avalara offerings rather than spending time on prospects that might be more difficult to convert. Add more qualified partners, increase partners' customer satisfaction ratings and improve partner profitability. I really admire Ruth Bader Ginsburg, associate justice of the U.S. Supreme Court. Justice Ginsberg is a true leader and a trailblazer for justice because she feels all groups are entitled to equal rights. I love several of her quotes: "Fight for the things that you care about, but do it in a way that will lead others to join you," and "I try to teach through my opinions, through my speeches, how wrong it is to judge people on the basis of what they look like, color of their skin, whether they're men or women." Take risks and don't be afraid to fail. Network and get to know people; connections matter - and the relationships you make will matter throughout your career and your life. Computer programming! I've worked in the software industry most of my career, but haven't expanded my programming knowledge since college. I wish I had that knowledge; it would enable me to gain a deeper understanding of the software development process. I come back time and time again to "The Leadership Pipeline: How to Build the Leadership Powered Company" by Ram Charan, Stephen Drotter and James Noel. In fact, I just recently read it again because I have two staff members who are first time managers, and need to become effective very quickly. I wanted to share with them how to move from an individual contributor to a manager. This is a great book because it not only highlights the skills needed, but also offers a great framework for thinking about new set of responsibilities from first time manager to CEO.